welcome old school, i am from the generation of mid-schoolers the wrx's were out, but only bugeyes. i just read your profile. old school but born in the 80's haha. that's rich! Last edited by 808subaru; 09-18-2006 at 01:36 AM. Location: Wagon on the outside....STI on the inside!! we'll have to see about that once i get my sti ra setup. won't be for a while but it will happen. welcome back and hope to see you around. what I meant by old school, I meant da car, not me. Born in 1980.. the beginning..saying 80s makes me feel younger. But then again, there are alot of younGER boys (some) that think they hot and arrogant with the blow-off valves on their '02-'06s whenever they drive next to me just cuz I still NA. They must be ex-Honda owners or something, I don't get no shaka back from [some] of them either. Anyway, all I'm saying is the crowd is different now since then. But thanks for welcoming me back. Moving to Kauai on 1/17/07!!. My name is Mark and I just wanted to say hey....I am relocating to Kauai on 1/17. I will be working for ITT Systems Division on the Pacific Missile Range Facility in Kekaha. I am shipping my wagon on 1/16. They said it should take 4-5 weeks to ship. What I was wondering about is if there are any tuners over in Kauai, or only on HI?. I will be over in Kauai for 1 year, but possibly 2. I am really excited about the move and have never been to Kauai or HI before. When I was in the Air Force, I was overseas in Germany, but I have never lived on an island. I will be living in Waimea. Any feedback would be greatly appreciated. Do you also know if there are any meets in Kauai?. I am also trying to find a good place to get parts over there, any recommendations for a good Suby dealership?. I normally go to Subaru of Gwinnett here in GA.
Just thought I'd say hello. 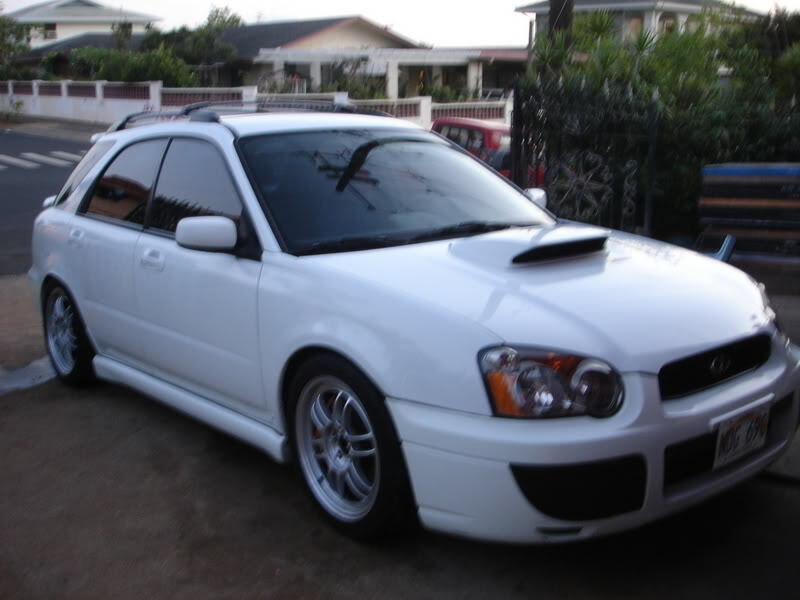 Currently considering moving from luxury sedan to STi, if Mrs lets me pull the trigger. Take care and have a nice day. What kind of luxury sedan you coming from....or considering coming from? It's funny, because Ive been contemplating going from STI to luxury sedan myself. 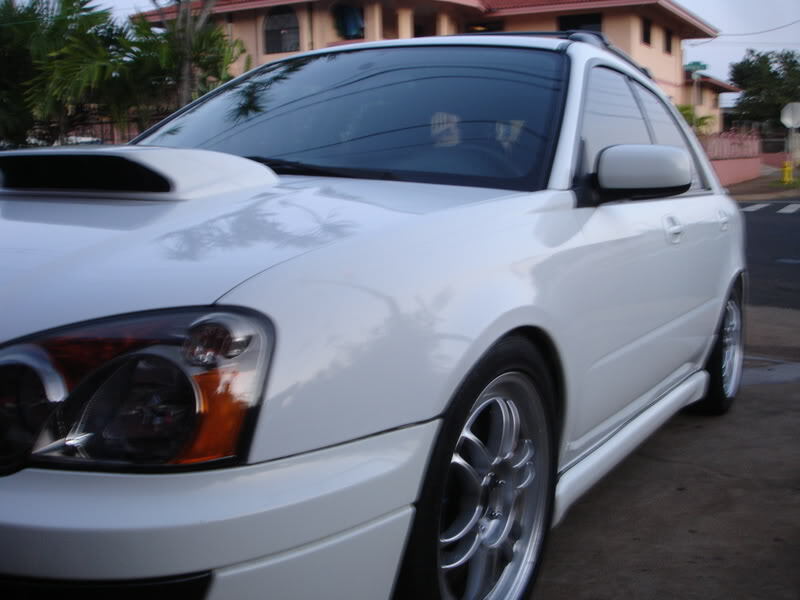 One thing for sure is that you'll absolutely love the performance aspect of the STi. It's still got enough room for kids, and it's a blast to drive. It's far from luxury, but hell, nobody bought a STi for that purpose. We all know why we bought them for.....heheheheh! Call me crazy (many do) but I currently drive a 2006 BMW 750i. The car is great. If it had the adaptive cruise control, I could really say that the car drives itself. Plenty of room to haul people comfortably and the kid can watch the small but functional rear DVD. I Really REALLY miss that 'Blast to drive' feeling that I used to experience with the past couple of sportier type cars I had in the past. Just wanna say welcome to the noobs. Just made almost 2 years but still I consider myself a noob.. For the old schoolers, just wanna say wassup and hey brandon, I was going to tsunami's with my sister and friend and her friend but didnt but I just dropped them. Was gonna come in to check on you but didnt want too. Well check you laters..
shaka's to everyone! newbie here...been an sti owner for almost a year, but was too busy with work to even have some fun =). noticed too many sti/wrx owners out there flashing shaka's so i decided to join the club. anyways, looking forward to meeting some of the good folks in here...aloha! just dont PM me with technical questons.